This post is the content of my paper to the NZ Foreign Affairs Defence and Trade (FADT) select committee in respect to their consideration of the Comprehensive and Progressive Agreement for Trans Pacific Partnership (CPTPP) legislation. I presented to the select committee Thursday 6 September 2018. I was one of many civil society actors who stated our concerns that the NZ Government was proceeding against the public interest in implementing this trade and investment treaty. The committee ignored civil society's key suggestion of an amendment to the CPTPP legislation limiting investor state dispute settlement (ISDS) coverage to existing CPTPP partners. Our amendment proposed that NZ negotiators secure agreement with any new entrants to CPTPP "that ISDS would not apply to their corporations." “This Government will make sure New Zealand always retains the right to make laws in the public interest. This includes seeking to renegotiate the Trans-Pacific Partnership to exclude investor-state dispute mechanisms and avoid their inclusion in all future agreements.” – Speech from the Throne, 8 November 2017. “New Zealand must not enter into an agreement with one or more foreign countries that includes provision for investor-state dispute settlement.” – Fighting Foreign Corporate Control Bill 2015 (Member’s Bill introduced by Fletcher Tabuteau MP for New Zealand First; supported by Labour and the Green Party but defeated at first reading by National, ACT and United Future). Where are we now? Despite massive popular protests in 2016, the Labour Government signed the reboot of the TPPA in Santiago, Chile on 8 March 2018. Thousands of concerned Kiwis submitted their overwhelming opposition and petitioned for an overhaul of the treaty-making process, but the Government is pushing legislation through Parliament to change our laws to comply with impending international obligations regarding matters such as overseas investment, trade tariffs and intellectual property. The Government plans to ratify the TPPA-11 this year, which will come into effect once six countries have done so – Japan, Mexico and Singapore have completed their processes already. The TPPA-11 contains the rules that will govern the global economy in the 21st century; since the signing in March, several countries have reportedly expressed interest in joining, including the United States, United Kingdom, South Korea, Thailand, Taiwan, Philippines, Indonesia and Colombia. Article 5 provides for any country to join the TPPA-11, subject to such terms and conditions as may be agreed between existing parties and that country. Minister of Trade David Parker has said this means there must be consensus before a country can join the original 11 members. In theory, we have a veto. The end of ISDS? The Minister of Trade told the public our concerns about ISDS have been resolved and it is highly unlikely that New Zealand can be sued successfully for implementing laws that put the public interest before the private profits of foreign investors. Yet the TPPA-11 contains the very same investor rights that are notorious for chilling regulatory measures that advance objectives such as public health, workers’ rights and environmental protection. Access to ISDS is limited only by side instruments signed with Australia, Brunei Darussalam, Malaysia, Peru, Viet Nam and Singapore, which do not affect the application of ISDS between those parties under other agreements, and a joint declaration with Canada and Chile merely affirms the right to regulate – but subject to ISDS! Nonetheless, global developments spell the end of ISDS. New Zealand’s trade negotiations with the European Union exclude ISDS because the latter considers it unnecessary. The 28 EU members join a host of countries, including Bolivia, Brazil, Ecuador, Indonesia, South Africa and Venezuela, which have accepted the argument that ISDS unduly favours the wealthy at significant cost to people and the planet. Indeed, in its examination of the TPPA-11 in May 2018, our select committee unanimously noted “the Government will not include ISDS in future agreements” and was “interested in what alternative arrangements are being considered by other countries”. The protection of capital mobility and strong investor rights under ISDS has allowed multinationals to shop around the globe to exploit labour and natural resources, resist laws that harm their bottom line, and sue for lost profits or devalued assets from regulatory changes – yet they do not have to pay for the social and environmental costs and may withdraw their investments on a whim. Our Parliament must prevent New Zealand from backsliding deeper into the discredited ISDS system by transforming the policy of the present Government into a binding commitment under domestic law. (b) the completion of the full process for parliamentary examination of international treaties as if for a new and unratified international treaty – or any more robust form of public scrutiny or parliamentary approval that is subsequently adopted. This amendment would future-proof our law and stop the spread of ISDS. The Stop ISDS amendment has been endorsed formally by these organisations: ActionStation, Association of Salaried Medical Specialists (ASMA), Campaign Against Foreign Control of Aotearoa (CAFCA), Council of Trade Unions (CTU), Doctors for Healthy Trade, First Union, It’s Our Future – Kiwis Concerned About TPPA, OraTaiao – New Zealand Climate and Health Council, Public Service Association (PSA), Public Health Association (PHA), and Tertiary Education Union (TEU). A big thank you to people who supported my May Day appeal or in the many ways that people do. My 13 May and May 20 reports outline the initial weeks of the itinerary. 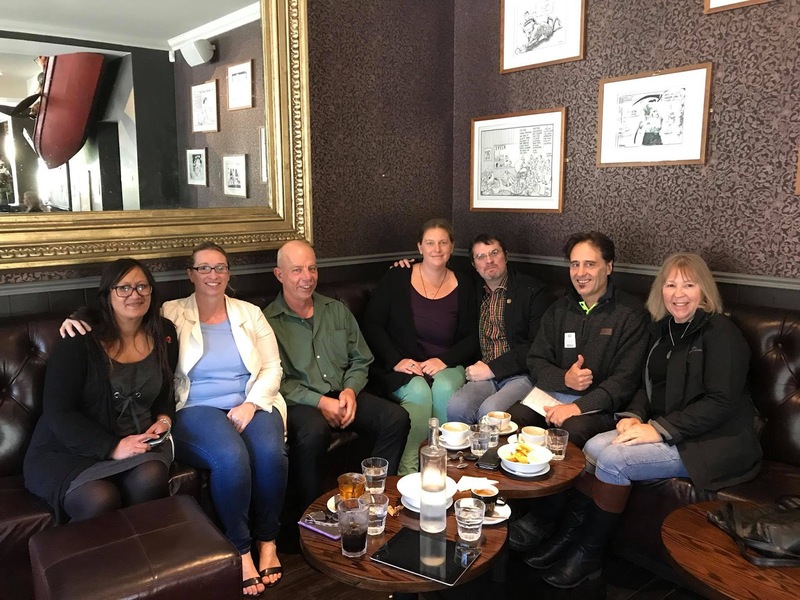 In all the project has seen presentations to over 15 Council hearings with the addition last week of Upper Hutt City, Tararua District, Wellington City, and Greater Wellington Regional Councils. I also attended the Open Government Partnership (OGP) workshop. Monday 21 May saw the local government LTP project at Upper Hutt City Council (UHCC). A number of friends presented on Monday, Antony Maddock, Wendy Blanche and myself, with Leon Salter and Tracey Ultra presenting later in the week. Mary Beth, Pat van Berkel and more TPP Free friends presenting on their own matters Council's hearings. Previously Upper Hutt City adopted the TPP Policy Solution and became the first and only Council to become a TPP Free Zone with Council decision of February 2016. The Council on this occasion appeared to be cool in its attitude to the presentations. We were received politely and attentively. The councillors gave no indication as to their attitude to our LTP recommendations. Tuesday 22 May saw me driving over the Rimutakas from the Hutt Valley to attend a hearing at Tararua District Council (TDC) for its LTP hearings at 10:54am held in their Dannevirke office. I was well received and outlined my concern for Just Rule of Law. Following my presentation Cr Shirley Hull thanked me and said that she definitely supports the wellbeing recommendation. I'm finding that to be the case wherever I go. I was first presenter at Wellington City Council (WCC) 9:30am Thursday 24 May. Cr. Jill Day Chaired the meeting and welcomed me to the table to speak. With all councils my oral presentation is to briefly mention the 4 recommendations and place them in a context. I determine the order of dealing with the recommendations depending on what I learned from sitting in the chamber and listening attentively. Wellington City it was obvious to commence with recommendation #3 seeking support for the 4 Wellbeings to be reinserted into the Local Government Act 2002. Paul Eagle MP was a Wellington City Councillor. He initiated the private members bill that we are recommending. The Councillors were happy at the mention especially as the bill was adopted by the Government as it's own bill on 5 April and is now through its First Reading. I followed by placing wellbeing in the context of the other recommendations; ethical governance, trade and investment treaty making and sustainable economics. I answered that, “I won't have a real idea until after councils have deliberated, however, it appeared that women councillors were grasping the content more readily than some of the male councillors as they might be less ideologically bound and more practically minded.” That brought a sudden outburst of laughter from both the female councillors and their male colleagues. It appeared they had been having earlier parallel discussions. I futher offered an anecdote - that at Porirua City LTP hearings one of the Councillors, Dame Beverley Wakem previous Ombudsman followed me into the hall after my presenatation to state that the paper was the most important submission to council's process and placed local communities in the national and into the geopolitical context. That concluded my 5 minutes with the WCC hearing. The afternoon was given over to Greater Wellington Regional Council (GWRC). GWRC allocated presenters to LTP hearing sessions rather than specific appointments. I was allocated to the 1:15 – 2:40pm session. I was 2nd to arrive for the session, Phil Teal from New Zealand Fish and Game was first. Phil was concerned about water quality and nutrient runnoff from pastoral activity particularly in the Wairarapa. Water quality and access is an issue everywhere. Council Deputy Chairperson (chair of LTP hearing) Barbara Donaldson welcomed me. My turn was focused as I only had 5 minutes of Council time and I was keen to provide opportunity for any question councillors might pose. I outlined the 4 recommendations, whereby if Council desired that ethical governance apply in New Zealand then it might assist for it to make a public declaration to that effect. Councillor Roger Blakeley asked about the recommendations relevance to local government, however, he indicated his support for the recommendation on Wellbeing. I answered that the recommendations needed to be viewed as an integral package. I've received two responses to the LTP recommendations, one from Taranaki Regional Council outlining Council's decision and the other from Gore District council highlighting the Chief Executive's recommendation/comment in respect to our suggestions. The following recommendations were adopted in relation to your submission. For your information, the officer's comments in relation to your submission are also attached. 2. makes no change to 2018/2028 Long-Term Plan. The Council letter and attached extracted report with Administration comments highlight that the Taranaki Council maintains its attitude to our LTP recommendations with the exception of the Wellbeings matter they are out of Council's scope. Thank you for the advice and observations of the Chief Executive in respect to my recommendations. I note my suggestion is referred to as "highly political" whereas I might refer to it as "well researched reality." It was a "highly political" act to remove the 4 Well Beings from the Local Government Act of 2002 in the face of the overwhelming opposition to their removal. What is the first principle in law? Human dignity and the rights that flow from that. Property rights flow from the natural human person which is recognised as personhood in law - in fact corporations claim personhood to claim the benefits. It is a highly political act to overturn the hierarchy of law based on arbitrary determinations without due diligence and democratic engagement. That is what I have identified in my paper to your council. Again many thanks for the advice. It wasn't meant to offend rather to set my paper and the recommendations in their correct context and political alignment. Best to Gore District and all councils in their LTP final determinations. The Wednesday 23 May Wellington OGP workshop was one of several programmed around the nation with one Wellington overflow workshop still to occur. The process remains open for public input till 31 May where there are pressing issues you wish to be included to ensure NZ's government is open and transparent. Matters under the Open Government ambit go to data, information, privacy protection and access to government facilities, services and information. In a sense OGP's scope is the whole of government. There were about 6 tables of people considering matters under headings, Data, Ethical Governance, Citizen Access and Participation, and a few more. We were guided to make our suggestions which were allocated to the tables of interest, which people could follow in the work session. I did in respect to OIA. Many have identified the Official Information Act (OIA 1982) has a number of impediments to accessing official information particularly related to foreign affairs and trade negotiations. Many of my OIA applications have floundered (information denied) as the OIA provides the government easy grounds for withholding information including under Sec 6 where there is no public interest considered. In the company of a few transparency advocates at the OIA workshop table we outlined the ideal scope of a review or reform of the OIA to remedy these blockages to citizen access to official information. This outlined on butcher's paper goes into the process to develop the New Zealand Government's committment to OIA reform in the coming 2018-2020 Action Plan period. As it is the NZ Government's commitment I am merely offering my suggestions to our representatives. I earlier asked Justice Minister Hon Andrew Little a set of questions about his review of the OIA following a 7 December 2017 question in Parliament by National MP Brett Hudson asking "What reform is he planning to make to the Official Information Act 1982?" I shared my response from Minister Little to people at the OIA table where he states there's no public consultation required as there's clearly no review or reform planned. I feel there is some ambition amongst the OGP participants that improvements can be made. I sense that movement within domestic concerns are more easily attained than reforming the the grounds for withholding state secrets and making withholding subject to a public interest test. It appears that some are concerned about NZ being compromised as a intelligence and security risk in the context of Five Eyes for its apparent Chinese influence. It appears that NZ's place in the world as an honest broker is up for grabs. We must influence the result to ensure ethical governance locally, nationally and internationally. I present to New Plymouth, Masterton and Carterton District Councils next week and Napier City Council on June 5. We also have a speaking opportunity at Southland Regional Council on June 6 at which local Nathan Surendran will present on behalf of the project. I'll report again at the close of next week. A big thank you to people who supported my May Day appeal or in the many ways that people do. My 13 May report outlined the initial itinerary from Central Hawkes Bay District Council to my presentations at Horowhenua District, Waikato and Taranaki Regional Councils and the effort to repair Tinkerbell. Also there was Mike's presentation at Nelson City Council. Monday 14 May last week local government LTP project took me to Martinbourough to the South Wairarapa District Council (SWDC). SWDC and their Maori Committee both adopted the TPP policy solution mid 2015. Mayor Viv Napier provided a warm welcome and and the councillors gave respectful hearing. Tracy Livingston presented on behalf of the LTP project in Tauranga City Council (TCC) Monday evening. A big thanks to Tracy. Tuesday 15 May saw me in Paraparaumu to apeak to Kapiti Coast District Council (KCDC) Tuesday afternoon. I had a support team; Kay Fechney, Rick Swan and Stephanie Waters who witnessed the presentation. That went well with encouragement from councillors and the Mayor for the coming presentations to councils and the FADT committee on Wednesday and Thursday. I get the sense there's a fair amount of 'in principle' support for the LTP paper and recommendations. I stayed Tuesday night in Palmerston North and drove to Taihape to present to the Rangitikei District Council at 10:10am. Mayor Andy Watson got proceedings away and I was first presenter. The Mayor made it clear that Councillors were to offer only questions to gain clarity not to utter their opinions on the matters under sonsideration. Councillors Cath Ash and Soraya Peke-Mason asked questions with Soraya saying she enjoyed reading the paper. It appears that the women Councillors get the importance of clean politics designed with integrity. Councillor Soraya followed up with a subsequent question on CPTPP implications for Maori interests as she was Councillor responsible for the Maori portfolio. Next up was Waikato District Council 310 klms north at Ngaruawahia. I stopped at Taumarunui for lunch, then struck a traffic jam from Te Kuiti to Ngaruawahia, so arrived a bit late. Allister West and Pene Torea were there waiting and I asked Allister to inform the Council of my lateness. We have a friend in first time Councillor Lisa Thomson from Raglan ward. Councillor Jacqui Church asked a question about council liability in relation to ISDS. She also said that she enjoyed reading the paper and agreed with its content. It was then across to Te Aroha for the Matamata Piako District Council. As I was behind in schedule I let them know my eta. I was the last presenter. Mayor Jan Barnes thanked me for the paper and indicated Council's appreciation of my efforts. I then turned Tinkerbell South just after 5pm to arrive in the Hutt at just after 11:00pm. A big day - lots of fossil fuel burning to cover almost 1000klms. Thursday morning saw me well received by Hutt City Council at my 9:30am appointment. I thanked Mayor Ray Wallace for Council's previous support for the TPP policy solution before outlining the four (4) recommendations in the LTP papers. Mayor Wallace reported that Local Government New Zealand had considered the 4 Wellbeings in Recommendation #3. He also said that LGNZ were considering the CPTPP – Ray offered to engage LGNZ and report back to me on that status. Cr. Tui Lewis contacted me after the hearing to inform me that they heard from Aaron from Generation Zero on the question of Climate Change a couple of presentations after mine. I've answered her email highlighting that not only in the council LTP paper but also in my evidence to the parliamentary FADT select committee I had made Climate Clubs a specific recommendation for future trade and investment treaties. I proceeded to parliament for my 11:15am Foreign Affairs Defence and Trade select committee (FADT) CPTPP treaty examination hearing and arrived in time to hear Antony Maddock, Scott Andrew, Lou Hutchinson, Leona from Hawkes Bay, and several more. There were significant points made by civil society represeantatives – the question for many is the value of participating at all given most sense that the CPTPP outcome is predetermined. My perspective on that is that vacating the field will not fix that problem – rather surrender will ensure civil society get bad outcomes. They listened in silence and thanked me for my korero. I've been speaking off the cuff to Councils as they assure me that councillors have read the papers, which I find to be the case from direct feedback. I operate under the assumption that the select committee members read my paper. National MP Simon O'Connor the FADT Chair offered at the conclusion that he appreciated the live links in my paper which allowed immediate access to website references. After the FADT committee hearings we retired to the Backbencher hotel for a catch up with a coffee. Porirua City Council's hearing was next for a 1:50pm appointment. Mayor Mike Tana and Council were friendly and again listened politely and attentively to my korero. There weren't questions however the Mayor wanted to gather the pronunciation of my surname. After I left the Council, as I was in the passage outside I was approached by Councillor Dame Beverley Wakem. She has been the Ombudsman for two terms 2005-2010 and up to 2015 so knows a bit about state secrets and how things work. Dame Wakem offered it was the most important submission to council's process and placed local communities in the national and into the geopolitical context. I thanked her and offered in response that her words made me feel my efforts have been very worthwhile. I didn't recognise Beverley when she came out, but did once I looked at the council website. 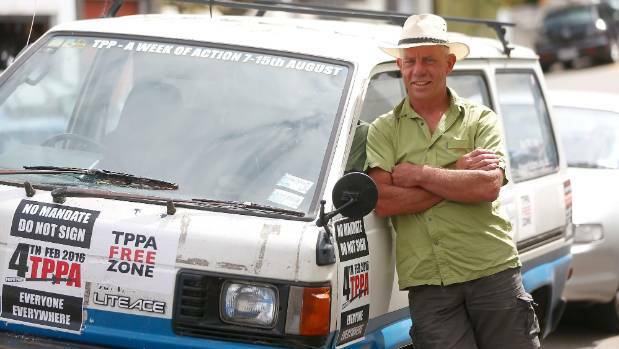 Also Dale Williams is of interest as a Porirua Councillor as he is a previous mayor of Otorohanga where he instituted the zero youth waste policy and strategy. I saw Dale Williams present in Motuek in 2013 where he explained the initiative. I'm working on following up with papers to FADT and writing further reports on the LTP 2018 democracy project and its progress. I present to Upper Hutt City, Tararua District, Wellington City and Greater Wellington Regional Councils next week plus attending the Open Government Partnership workshop that will be determining the NZ Government's civil society priorities. I'll be most interested in the reform of the Official Information Act recommendation. A big thank you to people who supported my May Day appeal or in the many ways that people do. The local government LTP ethical governance project has a fair bit of interest. Tinkerbell now has a well engineered and fitted custom driveshaft connecting her gearbox to the differential. She'll need to be in order as we do over a thousand kilometres next week and more in the weeks that follow. The driveshaft repair was in the nick of time. 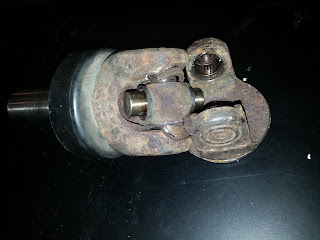 Picture of the broken universal drive unit which hung on till in the workshop before shattering in the mechanic's hands. The repairs have eaten into the funds I had assumed would pay for petrol, so I'm in a bit of a bind as far as servicing the LTP hearings planned and to be confirmed. However the universe has kept me solvent for the past 4 years to continue my advocacy work. I've now visited and spoken at 4 Council's LTP hearings; Central Hawkes Bay 26 April, Horowhenua District 3 May, plus the Waikato and Taranaki Regional Councils both on Monday 7 May. Mike presented on behalf of the project in Nelson on Wednesday 9 May saying he felt he was well received and bonus he's kindly provided his well constructed notes. I attended the Foreign Affairs Defence and Trade (FADT) select committee hearing Thursday 10 May to watch proceedings – my turn is Thursday 17 May. Many friends presented to voice there disapproval of the CPTPP, Wendy, Amanda, Jane Pete, Rick, Kit, Gordon (came from Nelson region). Gen and Charles from Christchurch, Robin from Napier and more I might not have recalled spoke via teleconference so we heard their contributions. CPTPP is the same deal as TPP - it isn't beneficial. Federated Farmers, as well as other trade interests spoke about the trade benefits and boosted the CPTPP for its bottom line contribution to New Zealand's economy. They made no mention of the costs to civil society interests. Friendly organisations included CTU representatives Sam Huggard and Bill Rosenberg. Professor Jane Kelsey was the last presenter and gained a fair hearing including about 20 minutes of question and answer with committee members. Jane particularly underlined the regulatory problems about data and the E Commerce Chapter. The CTU explained that the Labour Chapter protections were not enforceable so merely attractive packaging spin, no matter the alleged ambition. All civil society contributors made important points and in creative ways. There's a lot of ways to say www.dontdoit.nz or CPTPP is the wrong track. Wendy and Amanda made strong statements about the farce of the process as the CPTPP decision is predetermined. Working to disrupt that reality might then be key! Looking forward I'll be at South Wairarapa District Council at 9:05am 14 May. We have a presentation spot at Tauranga City Council LTP hearings 7:40pm Monday 14 May. I will not be able to make that, however, we may have locals do that presentation. Along with locals I'll be at Kapiti Coast District Council my speaking slot 2:20pm Tuesday 15 May. Friends are presenting on the Monday. And recall that South Wairarapa, Tauranga and Kapiti supported the TPP policy solution in 2015. Wednesday 16 May I'll drive to Manawatu to speak to Rangiteiki District Council at Taihape 10:10am then a dash to Waikato country for the Waikato at Ngaruawahia 2:10pm and Te Aroha 3:40pm for Matamata Piako District Councils – the appointments are spaced sufficient to attend each comfortably. I will then drive from Te Aroha to the Hutt for Thursday morning. My speaking spot at Hutt City Council is 9:30am Thursday 17 May. TPP Free Wellington representative Antony Maddock will make his presentation on Wednesday 16 May. Hutt City supported the TPP policy solution in 2015. Porirua City Council at 1:50pm Thursday afternoon. Between the two councils is my FADT CPTPP treaty examination hearing. My presentation to the FADT select committee is 11.15am Thursday 17 May. I earlier wrote the FADT committee suggesting that an allocation of 5 minutes was ludicrous for a serious presentation on CPTPP. This was echoed by many more who wrote the committee suggesting it was unfair. The FADT committee has traditionally done 10 minute hearings and I've been presenting since 2014 on treaties and bills. Along with the team from TPP Free Wellington I'm at Upper Hutt City at 12:40pm on 21 May. You might remember that Upper Hutt is the first and only TPP Free Council in New Zealand as well as supported the TPP policy solution. The only similar political statement is from the Waiheke Local Board of the Auckland City Council. Both Greater Wellington and Wellington City councils' hearings are later that week at times TBC. New Plymouth maybe 28 May, Masterton District Council hearing 4:15pm 30 May and Carterton is 9:15am on 31 May. Napier City Council is likely on 5 or 6 June. Wellington City adopted the TPP policy solution and Greater Wellington Regional Council carried decisions on TPP in 2013 and 2015 which assisted the democracy. I'll also be attending the Open Government Partnership (OGP) workshop all day Wednesday 23 May which will assist determine the priority matters from the list to place into the upcoming NZ Open Government plan. One proposition I definitely support is reform of the Official Information Act of 1982 to amend Sec 6 to allow for a public interest test where the government claims privilege. I've suggested this on many occasions as it is a frustration and blockage to holding government foreign policy accountable to public law and democratic oversight and sanction. Wanted are people in the regions who are interested to make representation at their LTP hearings. This is especially important in the South Island, as I've concentrated my personal efforts in the North Island. I'll advise about more council LTP hearings coming in the pipeline plus report feedback and decisions from the Council's consideration of our LTP recommendations where they are forthcoming. Councils thus far have listened respectfully. The only Council where the line was put, “it's not Council business” was Taranaki Regional where a Councillor stated that I had placed “the whole kitchen sink” in my paper, “Surely those are matters for Central Government”. I had anticipated that as Taranaki Regional Council had previously objected to the TPP policy solution for similar reasons. My response is that if you want good governance then set the example. TPP would undermine the public interest, democracy and sovereignty. We stopped it! It's done a Lazarus as CPTPP. Whose Interest TPP? Not ours! I work as a public advocate to stop the TPP and its ugly sisters, Regional Comprehensive Economic Partnership (RCEP) and Trade in Services Agreement (TiSA) from wrecking our nation and planet. My only income is from public donations.